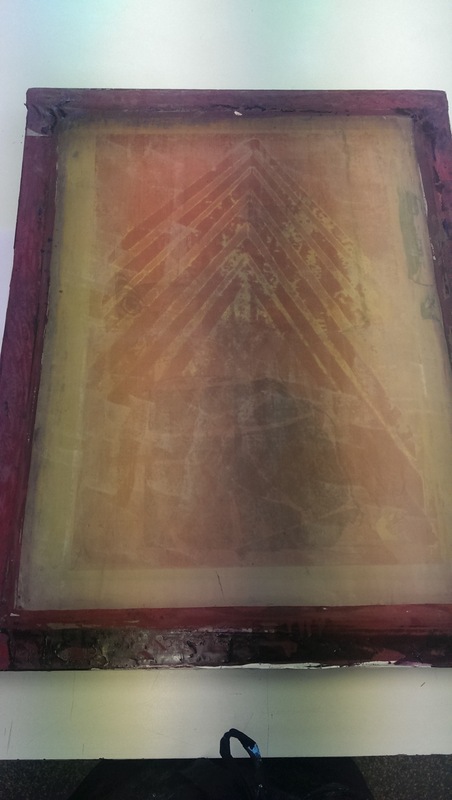 I recently have been hitting Megalo to try my hand at screenprinting. Some of the things didn’t work out so great. 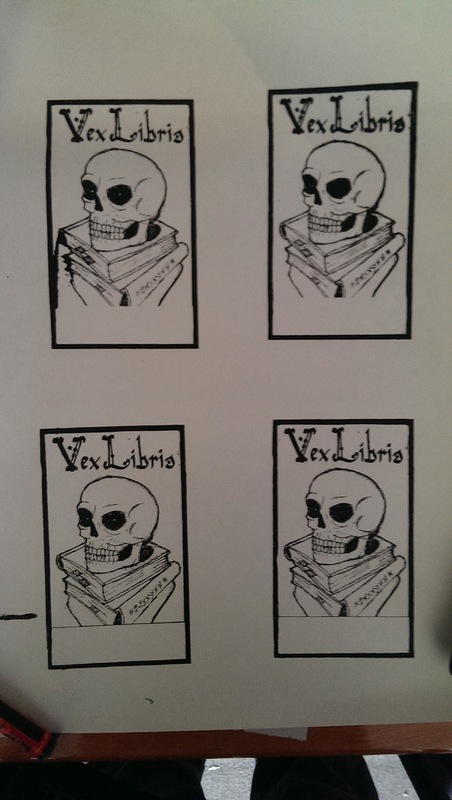 But these bookplates turned out pretty well. I’m surprised how much detail was kept. 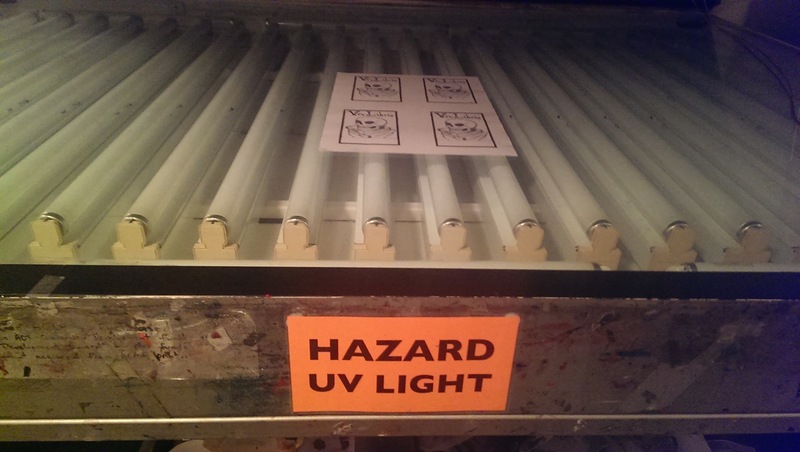 Each one is printed on lithograph paper, which has a pretty nice finish. I’m not sure what I’ll do with these once their cropped. 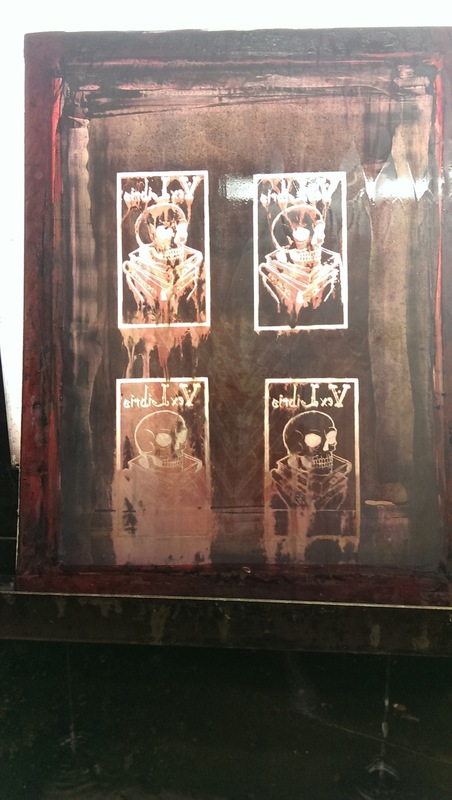 I’ll probably give them away, as with most of my other screenprint work. 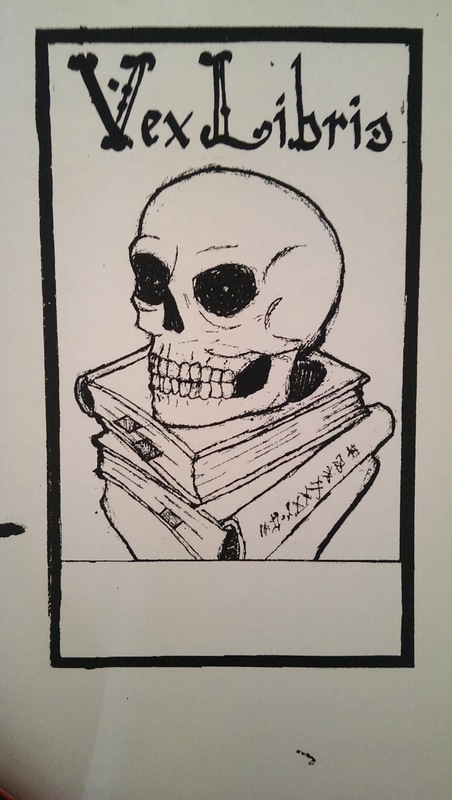 This entry was posted in art and tagged bookplate, megalo, screenprint, vex libris. Bookmark the permalink.